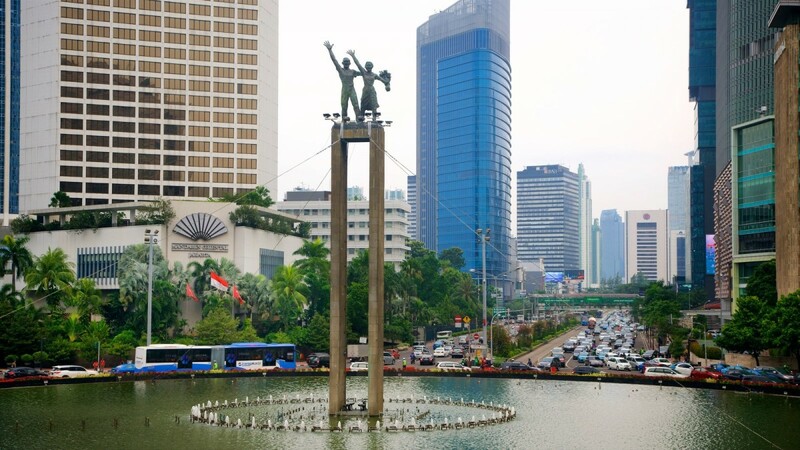 The Selamat Datang Monument is located in the center of a roundabout known as Bundaran Hotel Indonesia or Bundaran HI (Indonesian for “Hotel Indonesia Roundabout”). 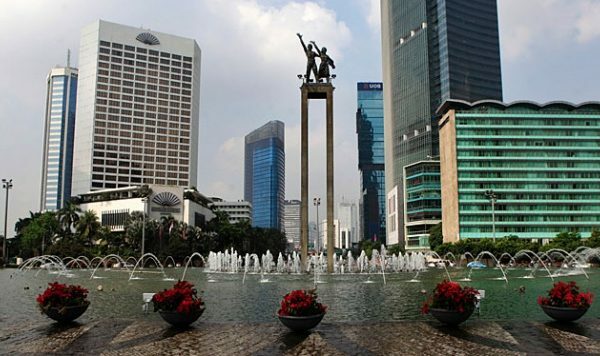 It is so named because of its proximity to Hotel Indonesia. 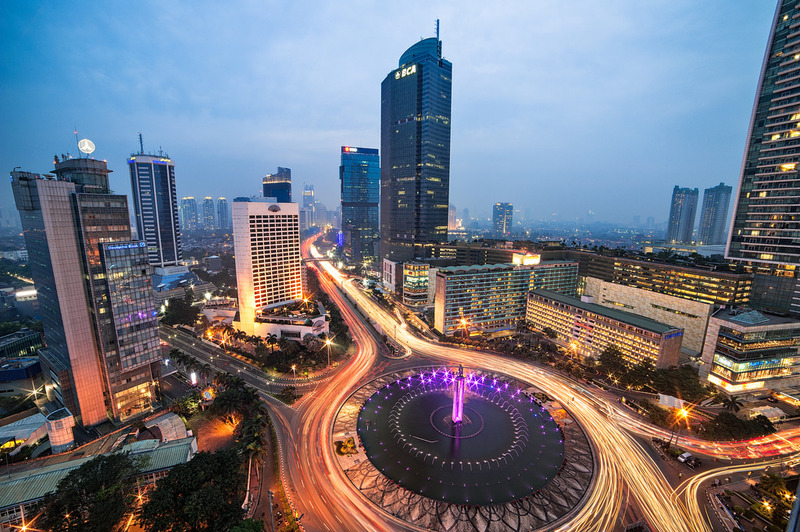 Other accepted spelling is Bunderan HI, which is closer to local Javanese–Betawi language unique to Jakarta. 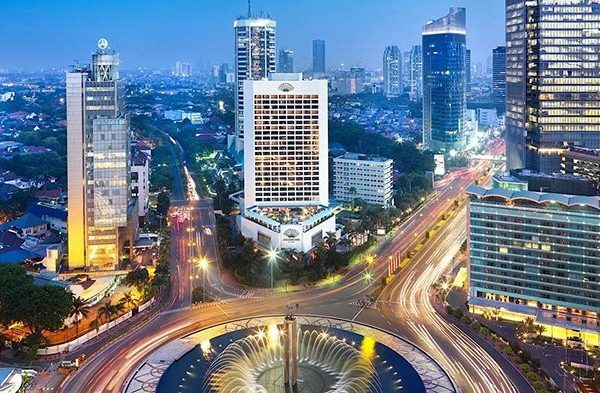 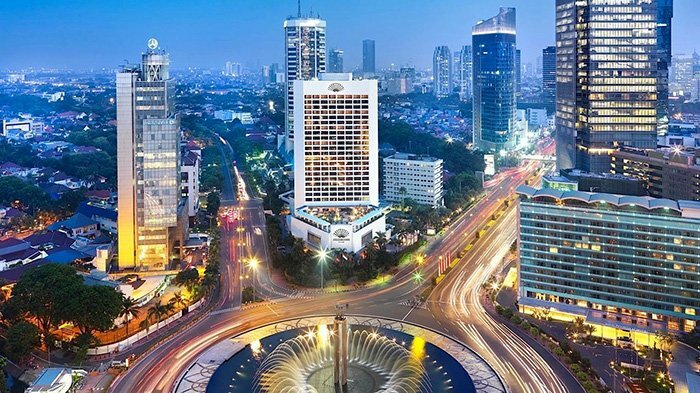 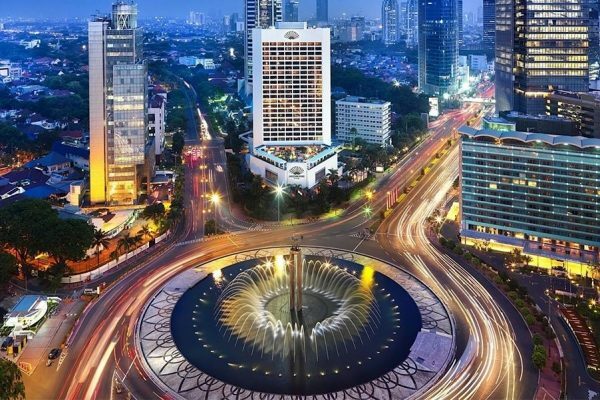 The roundabout is strategically located in the heart of Jakarta, right in the center of Jakarta’s main avenue, Jalan M.H. 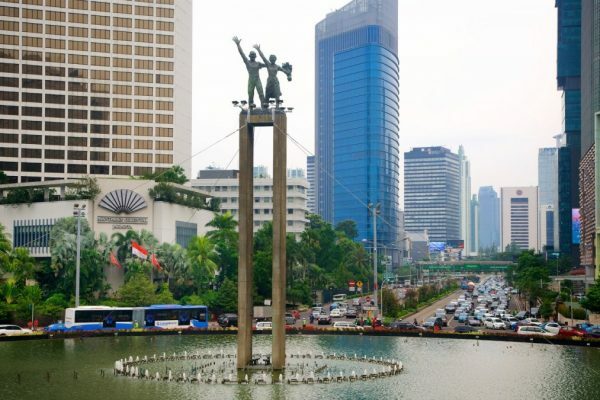 Thamrin, on its intersection with Jalan Imam Bonjol, Jalan Sutan Syahrir and Jalan Kebon Kacang. 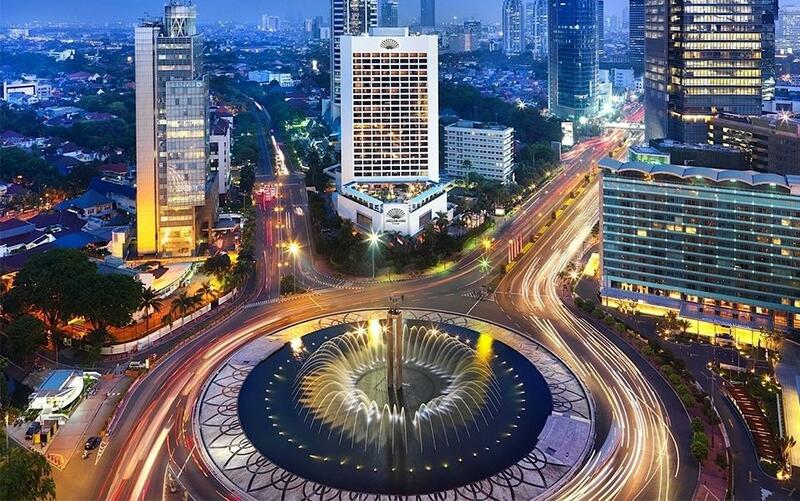 At its completion, Hotel Indonesia and its roundabout is the gateway for visitors of Jakarta. The roundabout features a round pond with fountains.